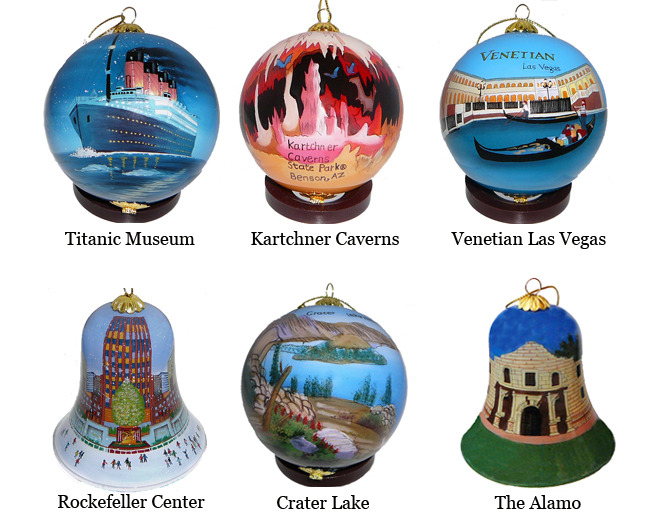 Custom collectibles are perfect for hotel gift ships, resort attractions, national parks, fundraisers, corporate gifts, and keepsakes for special occasions. Zhen Zhu offers three custom options . . . Exclusive Designs: It's as easy as 1, 2, 3! This is perfect when you are looking for something specific to your venue. Provide your artwork and a copy of your logo. This can be a photo or a jpg file. From this we will produce a sample. A sample will be sent to you for review within 14-21 days. Once the design is approved, the next step is deciding what size and shape works best for your ornament and/or votive holder. Then the order is placed and it normally takes 10-12 weeks for delivery. 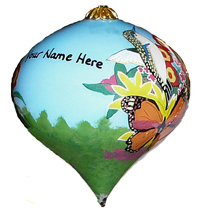 Prices for custom ornaments are the same as our standard lines. 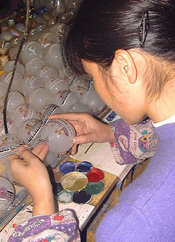 There is a minimum order quantity of 288 pc, mix and match between ornaments and votive holders. Custom Story Card (added at no charge): Provide us with 75 words on your company or organization and we will add it to the story card we enclose in each piece - for free!. For a lower minimum piece order consider doing your name drop on our standard designs. 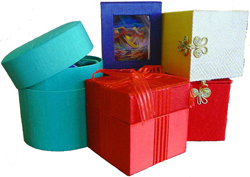 Choose from any of our designs, even those in the artist series. We will add you logo to the design as it is painted, at no additional charge! With this option, you also get to choose the box color. The minimum order is 72 pc but you can choose two designs. Delivery time is 10 - 12 weeks. Approval is done with a digital photo of the name drop. There is no additional cost per piece. Looking for something unique, yet you don't have the budget or demand for your own custom design? Calligraphy is the perfect solution for your needs. This is the easiest solution of all with no per piece minimum and the greatest variety in design. Simply Choose the designs. You can mix & match pieces from all of our categories. Give us the name you wish to have imprinted (max 24 letters). You can choose either block or script lettering font. There is a minimum per piece up charge. Delivery time is 2 to 3 weeks. Contact us and we can help you select the perfect solution for you needs.